Charleston Property Management, Charleston Property Managers, Charleston, SC Property Management Companies. 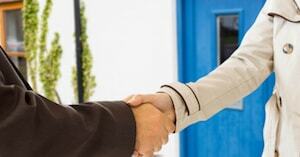 Handing over the care and management of your home to property manager is a big decision. We understand! It takes careful care and consideration on many different levels. Please read over our Owner Frequently Asked Questions for answers to the most common questions our owners have and see how our service can work for you! A team that knows your local area and puts that knowledge to work! Marketing is key to successful rentals. Wilder Property Management provides an expert market analysis for each property we manage to maximize your return on investment. If you’re considering renting out your home, request a free, no-obligation market analysis. We’ll share our experience and expertise in your rental market to answer questions like: How much rent should I charge? How long will it take to rent the home? How can I screen tenants and manage the property? Marketing to rental site like Zillow, AHRN, HotPads and MLS to name a few helps us capture those unique prospects for you! By working with qualifies and responsible tenants, you get rental disbursements timely. You no longer have to worry about rent showing up in your bank account because we take care of everything so you don't have to! We conduct inspections upon move-in and move-out that include documentation of the property’s condition and ensure all maintenance issues are addressed in a timely manner. We also do drive by inspections, vendor/repair inspections and periodically throughout the lease. With our detailed financial reporting tools and Owner Web Access, it's never been easier to keep tabs on your investment. Log into your OWA portal to view statements and stay in tune with how your investment is performing. In the unfortunate event that a tenant needs to be evicted from your rental, we will handle the whole process from court filing to move out, including court hearings and visits. Working with local magistrates offices so you don't have to is a time saver! Charleston is cited for its beauty, its history, its restaurants, its livability, its shopping, its business climate, its romantic appeal…its accolades are seemingly endless. 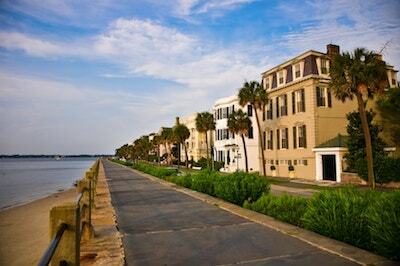 Moving to Charleston is certainly worth serious consideration. After all, it also garners ongoing recognition as being among the world’s friendliest cities.